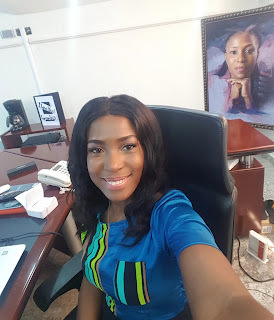 It's no more news that popular Nigerian blogger and media entrepreneur Linda Ikeji has finally left the spinsterhood, as she finally got hooked up by her former boyfriend, according to several media reports. The news all started as a rumour until the duo of her sisters Sandra & Laura Ikeji Kanu, alongside with Nollywood actress Toyin Abraham took to social media to announced the long-awaited news. According to a very reliable source speaking exclusive to Big Sam of BroadwayTV, Linda Ikeji's husband-to-be used to be her ex-boyfriend. The source further disclosed that her husband-to-be had relocated back from abroad to Nigeria. The two ex-lovers reconnected again and picked up from where they stopped.. It's no more news that popular Nigerian blogger and media entrepreneur Linda Ikeji has finally left the spinsterhood, as she finally got hooked up by her former boyfriend, accord, However, the pressure has finally from the 37-year-old Nigerian blogger Linda Ikeji, as she finally get hooked up but the curiosity in the mind of everybody now is that who's the ex-boyfriend Linda got engaged to. Ever since Linda has become famous through blogging, her personal life has not been bright as her successful great career. In one of her interview, Linda said that she's single and searching for the Mr. Right, but she placed a price tag on the person that will win her heart. By saying that she's looking for a decent, honest and supporting man, who would let her do what she liked to. Linda said she wouldn't go on a date with a younger man but she could easily marry a man who earned less. And then suddenly she was spotted with a man much older than her. It was Dan Foster. 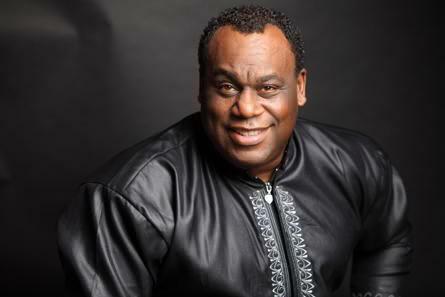 He is a Black American radio celebrity. He came to live and work in Nigeria. The notable boyfriend that we know that Linda had been Dan Foster, but they went separate ways after she discovers that he's a married man. Though, Dan gave a shocking interview opening all the secrets of their relationships. He told that Linda loved him very much. But he ‘took her for granted’. He dated two more girls at the same time. Dan didn’t appreciate her feelings much. He said plenty of interesting and unexpected things. He said that Linda was a nice ‘kid’. He hopes Linda can find someone for her but she must find the right person. Because Ikeji is really into a business she is doing now. He said Linda was and is very honest. Dan thought he wasn’t good enough for her then. ‘I always asked her why me’ – he said. But Linda was really into him. And Dan couldn’t believe that. Unfortunately, he took her for granted. He thought she could easily find some fine model-guy on the runway. But Linda was so serious about Dan. She was in true love with him. But, unfortunately, in the end, it didn’t work out. And the reason was - he took her for granted and he was dating other girls while he was dating her. Dan tried to have relationships in Abuja and in Warri while Linda was in Lagos. He said that it was a nightmare. 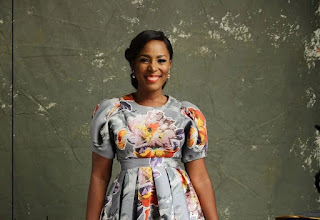 Without going further anymore, Who's Linda Ikeji Ex-Boyfriend That She Got Engaged To?